Basket supports with insert bends allow basket to be moved to horizontal or elevated positions. 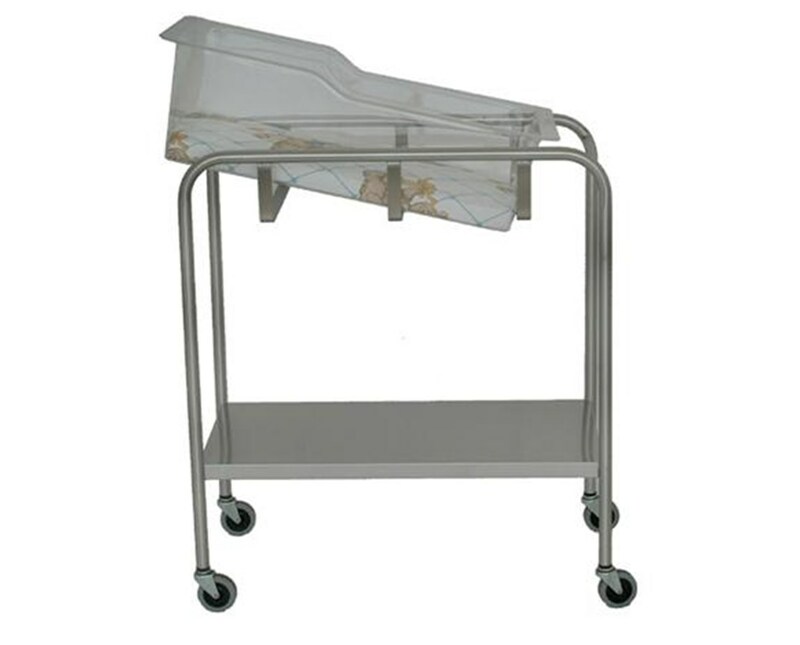 The UMF SS8538 Stainless Steel Bassinet with Shelf is made of a heavy duty tubular stainless steel framework. Welded for superior strength and rigidity, the stainless steel bassinet will hold up to the most demanding circumstances. UMF designed, the bassinet features a full width stainless steel shelf with ample space, and ball bearing swivel casters for easy transport. Each bassinet includes a basket and a comfortable mattress pad. The basket supports and insert bends allow the basket to be moved in horizontal or elevated positions. 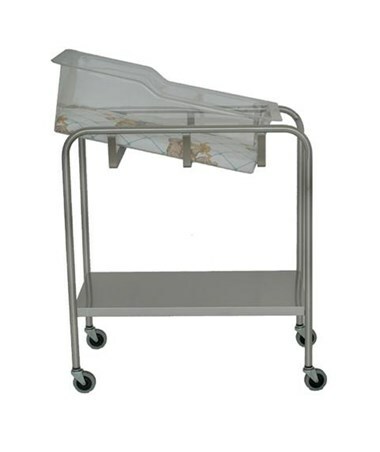 With a generous 3 year warranty the stainless steel bassinet is an excellent choice for your medical needs. Heavy duty tubular stainless steel framework. 3” (7.6cm) ball bearing swivel casters.